No season of Survivor would be complete if we didn’t compile the all-time list of winners each season. 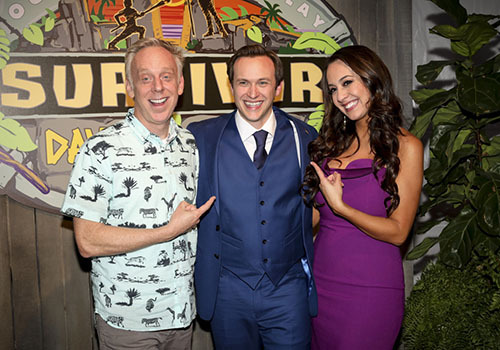 With 37 seasons now in the rear-view, we just witnessed Nick Wilson, the 27-year-old public defender from Williamsburg, Kentucky, becoming the latest person to win Survivor…but where does this sit on the all-time list? All 36 people who won Survivor obviously did something right in their season to have won. So this ranking is based on three things, and it’s quite simple: How the person played the game – their particular winning season – according to Survivor’s moniker of “Outwit,” “Outplay,” “Outlast.” Read on in order to see the Top Survivor Winners of All-Time and where Nick ultimately ranks. Season 37 of Survivor, Survivor: David vs. Goliath, is a thing of the past, having ended this past Wednesday night. So where does this past season fit into my list of most memorable? When ranking the most memorable seasons of Survivor, “best” can mean a lot of things, so my list takes into consideration not only the “best” season but the most “memorable” seasons of all time, as they may eventually be remembered from our current vantage point. Obviously, the most recent season is freshest in our minds, so the list also takes that into account. Determining factors include memorable players, situations, Tribal Councils, the impact the season had – or will have – on future seasons, and just overall where I feel the season ranks. Everyone has their opinion, so be sure to voice whether you agree or disagree with my rankings. Here goes! Season 37 of Survivor is now officially in the books. It was a great finish to a great season. Heading into the night, the game was wide open. 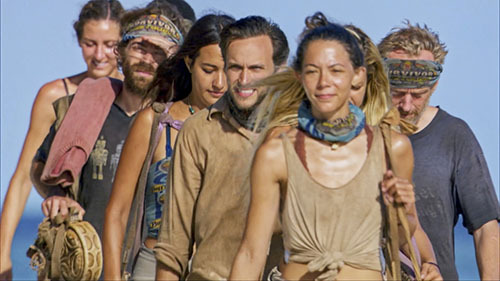 Davie, Nick, Mike, Angelina, Alison and Kara all vied for the million dollar prize and title of Sole Survivor. To say the finish was epic would be an understatement. Just like John “The Mayor of Slam-Town” Hennigan told us from the jury tonight: It’s not necessarily how well you fought, it’s sometimes about that big, memorable finish. As one of the most universally beloved seasons of one of the most popular reality competition shows draws to a close, people were asking: Will the finale episode of Survivor: David vs. Goliath live up to the rest of the season? In other words, will the finish be as good as the fight? Anyone watching tonight’s Survivor Finale and Live Reunion Show that followed knows that we were treated with something special this season. The ending did not disappoint. 37 (!) seasons now in the books, and this show is still firing on all cylinders. This is based on the strength of its cast and on the producer’s willingness to evolve. Not every new twist works, but when you match a great cast with a great theme, sometimes sparks fly. Or in Kara‘s case tonight, sometimes they don’t. 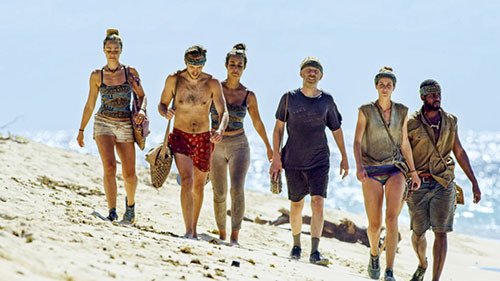 Before we dive in, as I do at the beginning of every Recap, please heed the following: Remember that this recap assumes that you have already seen this week’s Survivor: David vs. Goliath Finale. So if you have not and don’t want to be spoiled, please come back later! It’s important to add too that while we WILL hit on all of the important developments of the episode. This is not a linear “blow-by-blow” recap, and is more of a discussion and reaction of what we just witnessed together. There’s no one quite like Christian Hubicki. The robotics scientist and professor from Tallahassee, Florida started off as one of the more – shall we say – “unique” members of the David tribe. He quickly became a rare Survivor sensation: the sort of player that is considered one of the most well-liked contestants ever to play the game. We’re talking Rupert Boneham or Joe Anglim-level love. And that’s just from the perspective of mass popularity. He is also is one of the smartest, most intellectual players we’ve ever seen. He’s in the category with John Cochran or Stephen Fishbach. 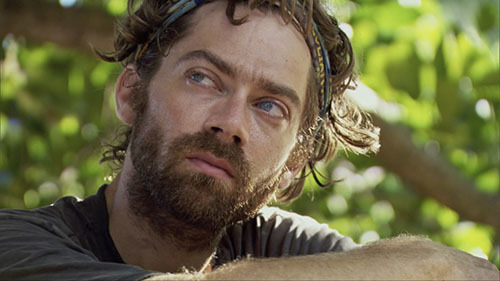 For those mourning the loss of Christian from the game, don’t fret…he will be back on Survivor at some point. Mark my words. Because it wasn’t just that he was the ideal strategic player, or that he was just funny (and he was down-right hilarious), but he also perfectly encapsulated the spirit of the quintessential David, the under-dog worth rooting for. And yes, I used the big 14-letter-word “quintessential” to impress Christian himself, should he be reading this. If you missed any of the action? Get caught up with our Episode 13 Recap, as well as checking out the Podcast below. The Survivor Gods giveth. Then they taketh away. Just last week, we experienced the demise of the somewhat polarizing Gabby Pascuzzi. Many fans cheered. 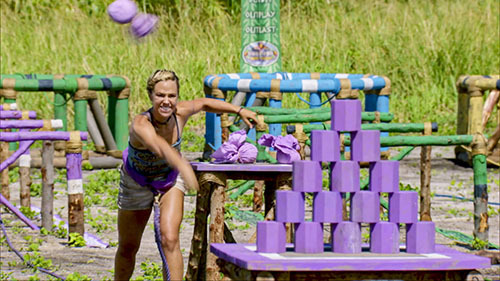 This week we witnessed a shocking exit that most likely made you scream at your TV, stomp away in anger and throw your Survivor notepad to the floor in disgust. Or was that just me?Yes, this week’s penultimate episode is sure to have whipped the whole of the Survivor-verse into a furious frenzy. But if one thing was made clear by the episode’s end: This season, it’s anybody’s game. As I do at the beginning of every recap, please heed the following: Remember that this recap assumes that you have already seen this week’s Episode 13 of Survivor: David vs. Goliath. If you have not and don’t want to be spoiled, please come back later! It’s important to add that while we WILL hit on all of the important developments of the episode, this is not a linear “blow-by-blow” recap. It is more of a discussion and reaction of what we just witnessed together. There may be no crying in baseball, but when it comes to Survivor, let those tears loose, child. This week we said goodbye to Gabby. I think it’s fair to say has worn her emotions on her sleeve. And even though her platonic relationship with Christian has been one of the main themes of this season, this week she finally sought to make a big move against him in an attempt to bolster her “Survivor resume.” It back-fired, in glorious fashion. If you missed any of the action? Get caught up with our Episode 12 Recap, as well as checking out the Podcast below. I’m not crying, you’re crying! It was an emotional roller-coaster of an episode tonight on Survivor., The contestants’ “loved ones” challenge revealed some softer sides from the remaining eight players. I mean, Gabby has cried during almost every single episode this season, so that’s no barometer. But you know it’s an emotional night when everyone out there was left sobbing. There wasn’t a dry eye in my house (darned allergies!). This was not just because of all of the love that was in the air. The game took a stunning turn towards the end with yet another shocking Tribal Council. As I do at the beginning of every recap, please heed the following: Remember that this recap assumes that you have already seen this week’s Episode 12 of Survivor: David vs. Goliath. If you have not and don’t want to be spoiled, please come back later! It’s important to add that while we WILL hit on all of the important developments of the episode, this is not a linear “blow-by-blow” recap. It is more of a discussion and reaction of what we just witnessed together.